Clear the snow at any time of day. 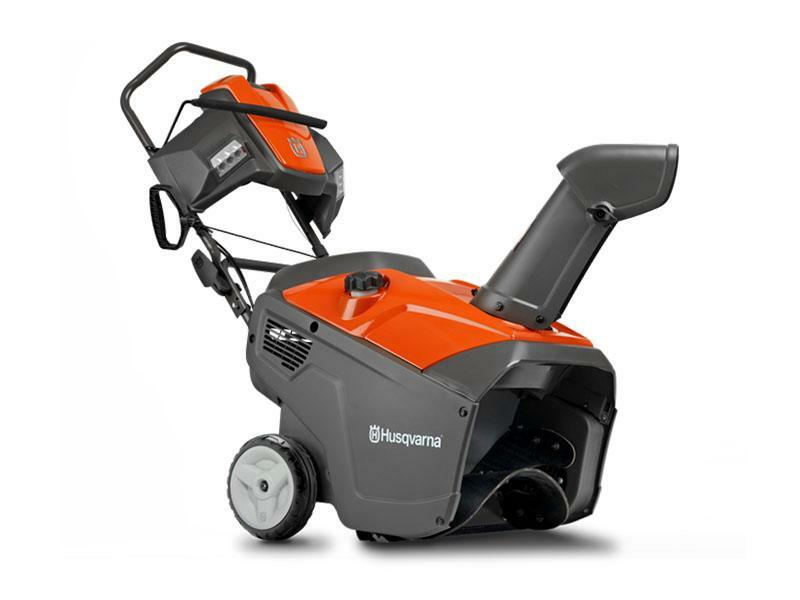 The Husqvarna ST151 is perfect for homeowners who need a compact, efficient and easy-to-use snow thrower. It’s designed to clear snow from hard, flat and narrow surfaces on sidewalks, driveways and other hardscapes. The ST131’s efficient rubber auger ensures optimum snow clearing, while avoiding damage to hard surfaces. Plus, the ST151 has an electric starter, LED headlights and a remote chute rotator for easily directing the snow. Suitable for occasional use in new snow up to 8 inches. EFFICIENT RUBBER AUGER: The rubber auger is both efficient and merciful on all type of hard surfaces and the auger speed makes the snow thrower almost self-driven. ERGONOMIC HANDLE: The handle is angled for optimum ergonomics and the overmold bail arm makes operation extra comfortable. REMOTE CHUTE ROTATOR: Fast and easy change of the chute direction with an easily reachable rotator.